HiPIMS (Uni-Polar or Bi-Polar) used for single magnetron and dual magnetron applications, plus Superimposed HiPIMS: Enhanced coating properties. Standard DC (for magnetron sputtering, Bias, PECVD and Plasma Etching): Higher deposition rate, i.e., production speed. Bias operation in DC and HIPIMS mode: the part to be coated can be polarized too in order to optimize the coating properties. 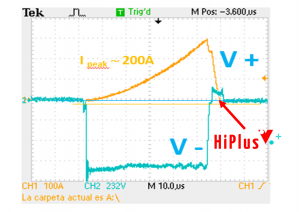 HiPlus positive voltage reversal can boost both the deposition rate and the density of the films by accelerating the ions towards the substrate. The hiP-V is built up in a modular way. It offers the unique capability of combining, into parallel two, or into serial three hiP-V units. This enables the user to double the voltage or triple the power and current. 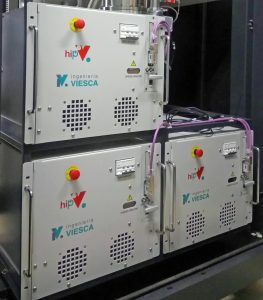 This has the great advantage for the customer or OEM to process even very complex thin films with just one single power supply product line, instead of having several dedicated power supplies, one for each process that may take place in the same production line. hiP-V has gained great recognition in the industry with its innovative positive voltage reversal technology, the HiPlus. HiPIMS is famous for the high degree of ionization in the plasma, however, some of the effect is lost due to that the ions are generally attracted back towards the target by the negative voltage. By adding a very short positive pulse directly after the negative HiPIMS pulse the ions excels towards the substrate boosting the deposition rate as well as improving the density of the deposited film. Another innovative feature of the hiP-V product line is that it has the ability of making a superimposed DC/HIPIMS deposition. Here we see a good way to combine the advantages of the two methods, the advanced film properties of the HIPIMS and the high deposition rate in DC. Of course this technology is not just simple plug and play. Process procedures and parameters will be offered by licensing as a business opportunity. In comparison with other commercial solutions, the hiP-V is a more versatile power supply at a competitive price. It has also been carefully designed to fulfill the industrial coating process requirements. 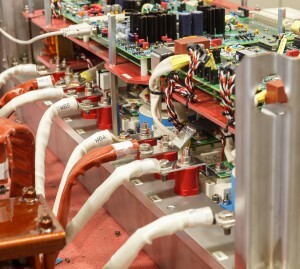 In this way it is easy to replace the installed base of power supplies, as example for upgrading already existing very large coating systems step by step, to distribute the investment cost over a longer period of time. Commercially, for the OEM or end users in the coating industry, this has the advantage to only purchase a single product which fulfills the various process requirements. This not only reduces cost in purchasing the part but also positively affects the after sales service, personnel training and reduces the inventory stock. 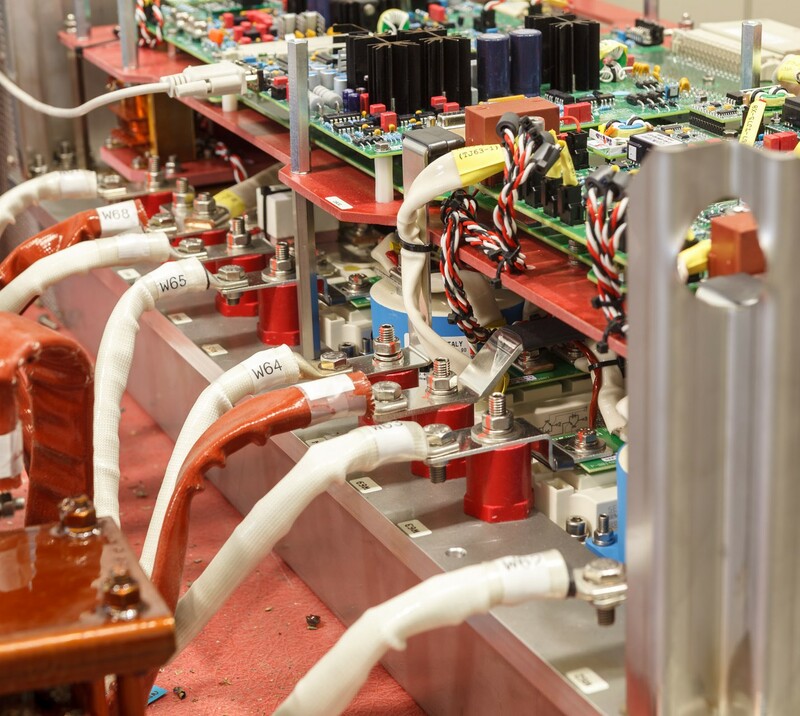 Our production facilities and design engineers have decades of experience from the public transport sector, which means components that just are not allowed to fail. All this experience is put into the most reliable HIPIMS power supply on the market. The production is ISO9001 qualified and has also been approved by CAF and Airbus. Copyright © 2016 HIPV AB.